Climbing, Canyoning, Caving—Our first E.O.F.T. Adventure Camp was a weekend of outdoor fun and discovery. Teaming up with Tom Randall and Pete Whittaker, the four winners of last year’s Instagram photo contest explored the rocks, gorges, and caves of Slovenia’s Triglav National Park and found it an ideal location for outdoor adventures. A weekend with the WIDE BOYZ: Tom Randall and Pete Whittaker. We know them as offwidth climbers. 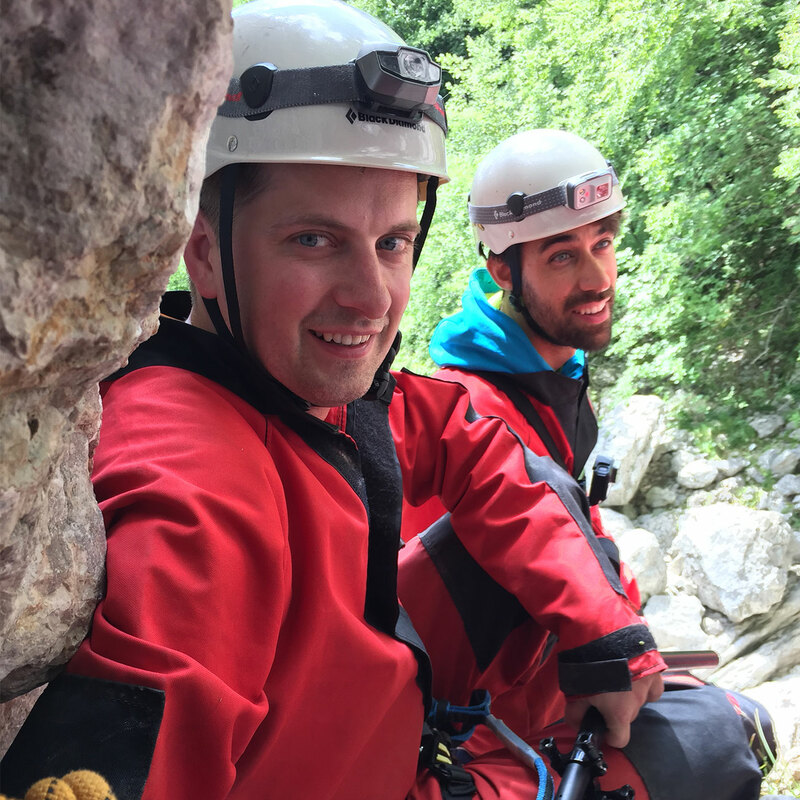 In Slovenia, along with our winners, they also experienced other adventure sports like caving and canyoning. 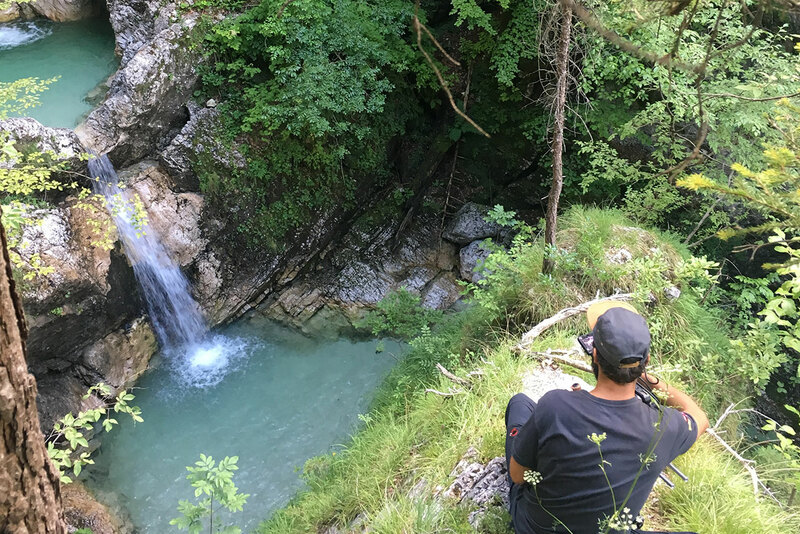 Outdoor adventure for everyone: In the dreamlike and varied landscape of Slovenia, outdoor adventure seekers get their money’s worth—whether in the water, on the mountain, or underground. 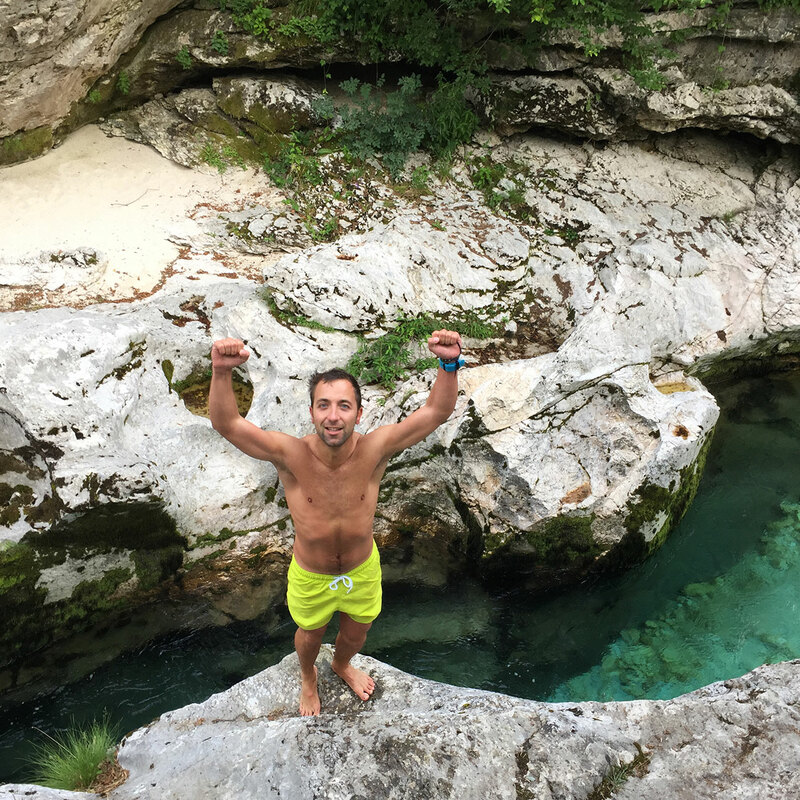 Francesco is determined to plunge into the cold water of the Soča. The crystal-clear, turquoise river is a paradise for watersport enthusiasts of all types. Vertical challenges: Helmuts and Liva are aiming to finish the via ferrata, but there are still a few vertical meters between them and their goal. Next Stop: Caving! Helmuts and Giulio are enjoying the daylight, but it will soon be dark, narrow, and wet. This cave tour is not for the faint-hearted.